My brother and his wife were in town for a quick visit this weekend so we headed down to the Rockridge neighborhood in Oakland, California. Rockridge is a friendly neighborhood with a busy main street, College Avenue, that runs through the middle. There is everything from Irish dive bars, to Pilates studios, to ice cream parlors and ramen shops. My brother and his wife are big beer drinkers – which is something I know nothing about. Fortunately, a new specialty beer shop and tasting room just opened up next to my favorite coffee spot. 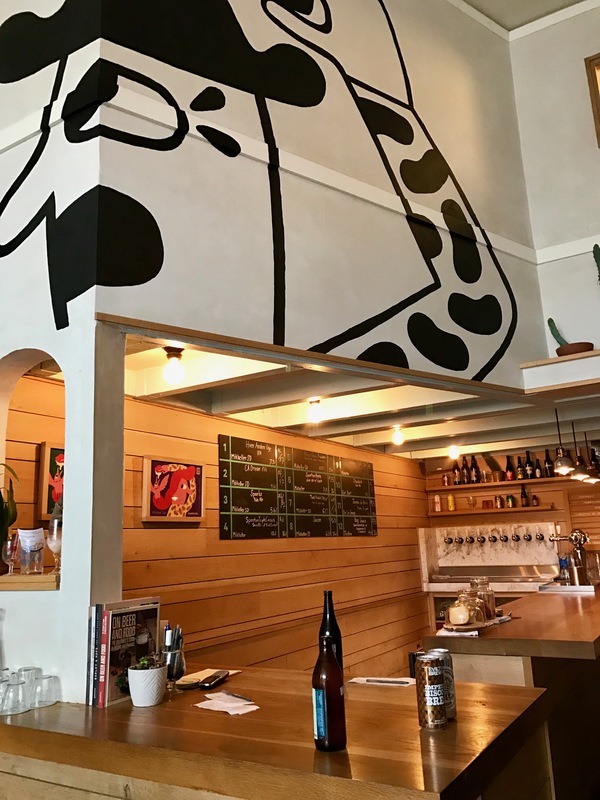 Walking in to Mikkeller Tasting Room, you immediately feel like you are walking into the lobby of a brewery gearing up for a tour. The space is narrow but designed to draw your attention to the fully stocked cooler and shelves. There you’ll find a vast and impressive spread of specialty beer and, in our case, mead. It is like a library of interesting flavors. You could easily spend a half hour just perusing the selection. 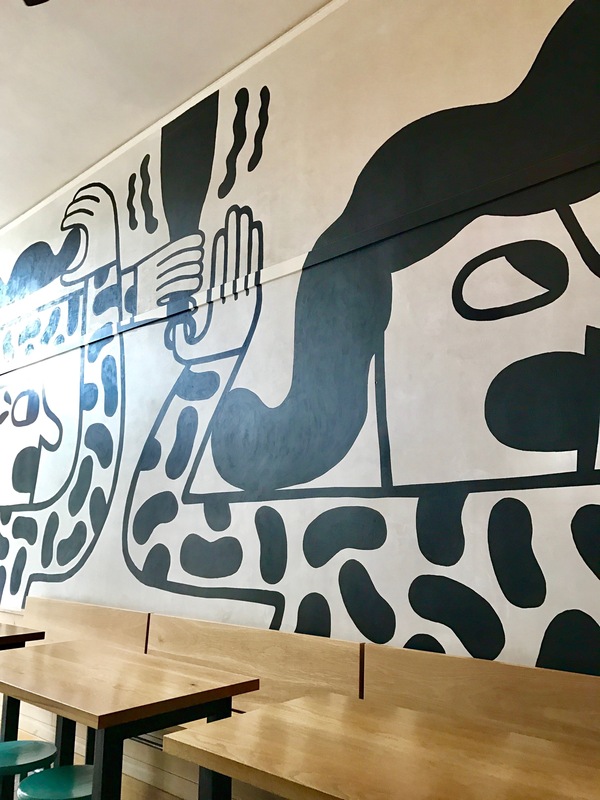 The walls have really rad art tying the space together. The register is also a tasting bar where you can find even more delicious draft beer. 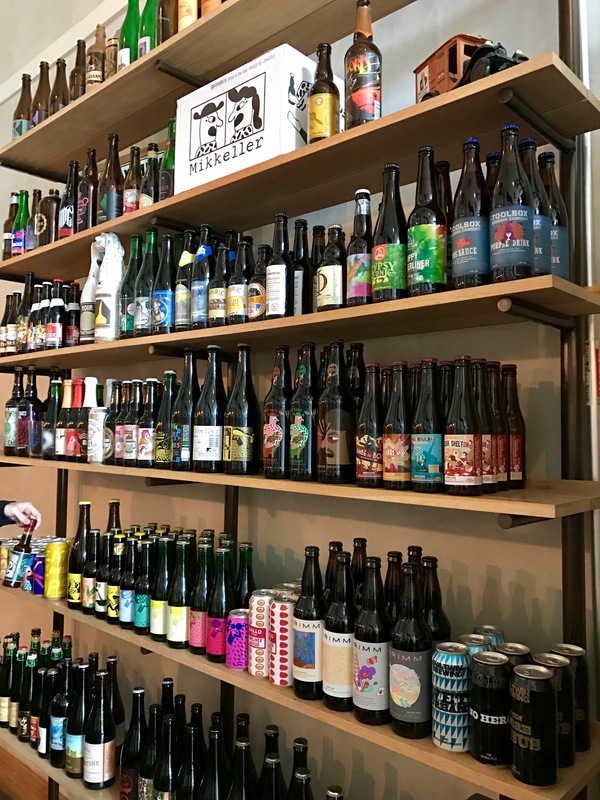 The bartender was extremely knowledgeable about every unusual product on the shelves and was happy to talk about what made each special. 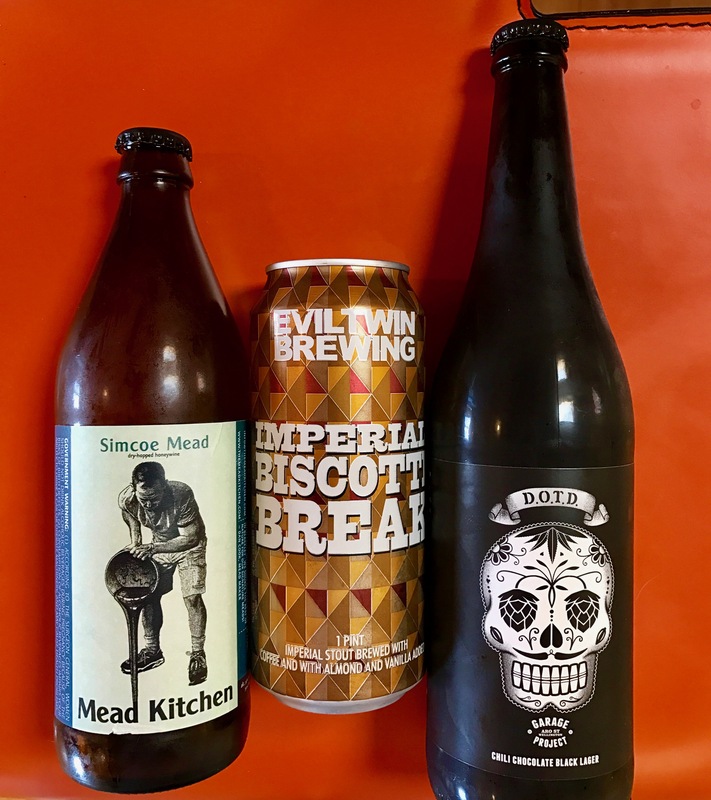 Jake & QianQian ended up going home with the EvilTwin Brewing Imperial Biscotti Break stout and the D.O.T.D. Chili Chocolate Black Lager. Ben picked up the Simcoe Mead Kitchen. 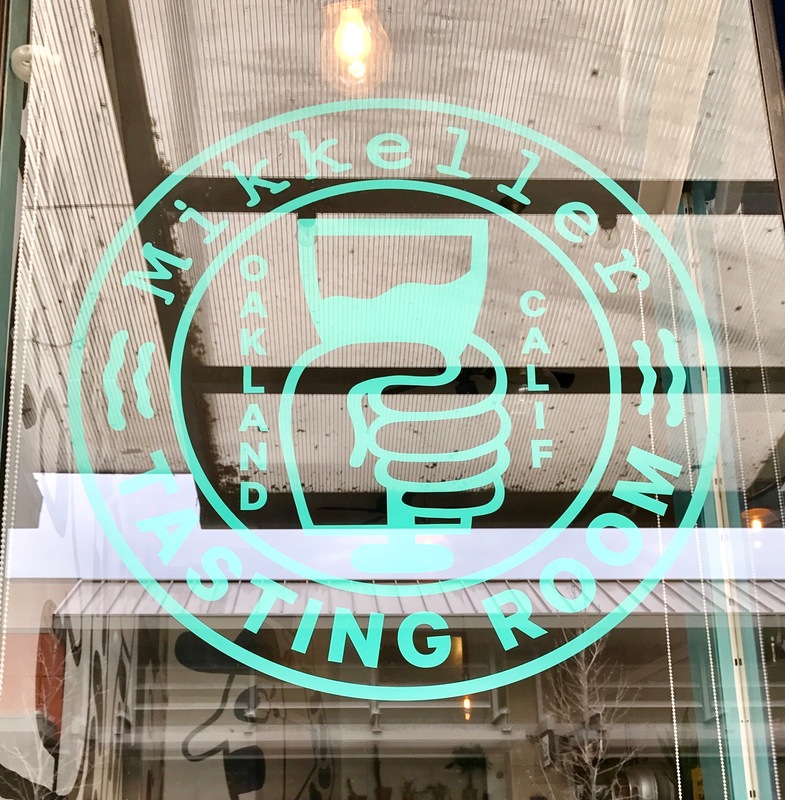 Mikkeller Tasting Room and Bottle Shop is open from 11:30am-11pm daily. Check out their website for selection and upcoming events. 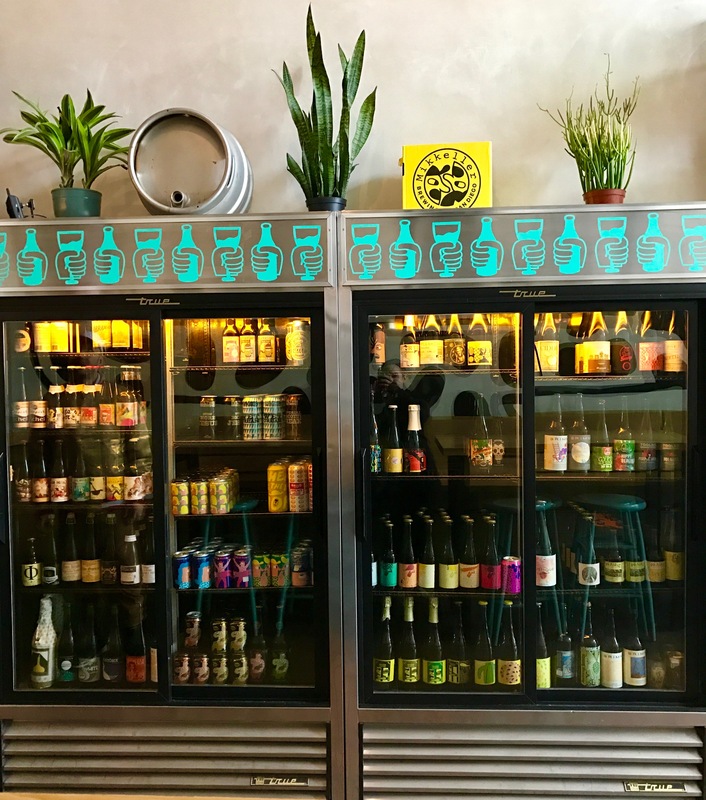 This entry was posted in Where to go and tagged beer, oakland, shop by Mary Elizabeth Cobb. Bookmark the permalink. Bill and Ayres really like this.